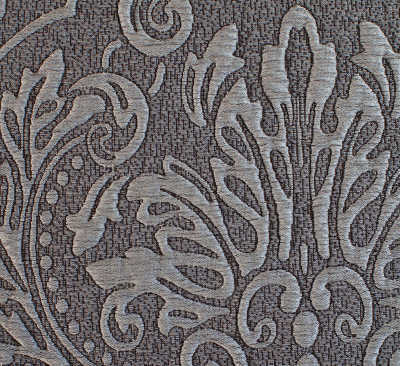 This beautiful textural grey color matelasse bedding is woven in Italy and features a classic floral pattern. Shown here as a folded coverlet with St. Geneve Boheme Grey duvet cover. Also available in bedspreads as a customization.